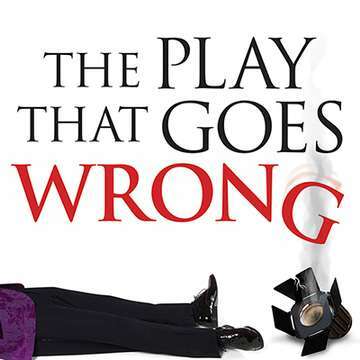 The Play That Goes WRONG begins before the curtain has even been raised, as the audience witness the Cornley Polytechnic Drama Society preparing to stage their annual production - which this year happens to be a 1920s murder mystery 'Murder at Haversham Manor'. The Play That Goes WRONG is guaranteed to have you rolling in the aisles!! • All ticket sales are final. No refunds or exchanges. Cancellations must be made at least one day prior to performance. • Will Call window is open one hour prior to the performance. Please show photo ID or printed receipt when picking up tickets. • Lobby is open 1 hour prior to performance and theatre doors open 30 minutes prior to performance. Seating is general admission. You must be in your seat prior to the performance. • Latecomers will besotted at the discretion of the House Manager. • No food or drink, other than water allowed in the theater. • Please turn off all electronics, including cell phones.